Lady Velvet Cabaret burst onto Perth’s burlesque scene in 2009 and since then has continued to flourish and grow with an ever-increasing range of services available. The brainchild of professional performer and entrepreneur Vita Flame, Lady Velvet Cabaret has developed a reputation for its professionalism and well-trained staff, whether they be teachers, hostesses or performers. Operating from a central dance studio in Subiaco, Lady Velvet Cabaret offers a wide range of dance and burlesque classes for adults including favourites such as hip hop, cabaret, ballet, contemporary, tap dance, jazz, classic burlesque and more. The studio prides itself on offering true beginner classes for adults, welcoming all students even if they’ve never danced before. Instructors are friendly and welcoming, with enrolments accepted at all times of year. The timetable is continually growing, with intermediate and advanced classes available in some styles, supporting students as their skills improve over time. Students are offered regular performance opportunities (completely optional of course) and given a taste of what it’s like to perform at industry standards. 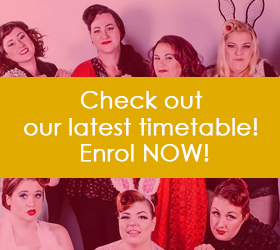 In 2015 LVC joined forces with local photographers to offer popular one-day vintage pinup workshops – giving pinup enthusiasts the chance to participate in regular, themed workshops and photo shoots, with stunning results. LVC also offers private tuition in dance, piano, voice and even coaching for pageants and pinup parades. Lady Velvet Cabaret is also known for their talented performers, including award-winning artists whose passion for their craft has taken them around the state, country, or even on international tours! LVC’s performers tour across WA, the country, and even the world, performing in regular shows, events and festivals. 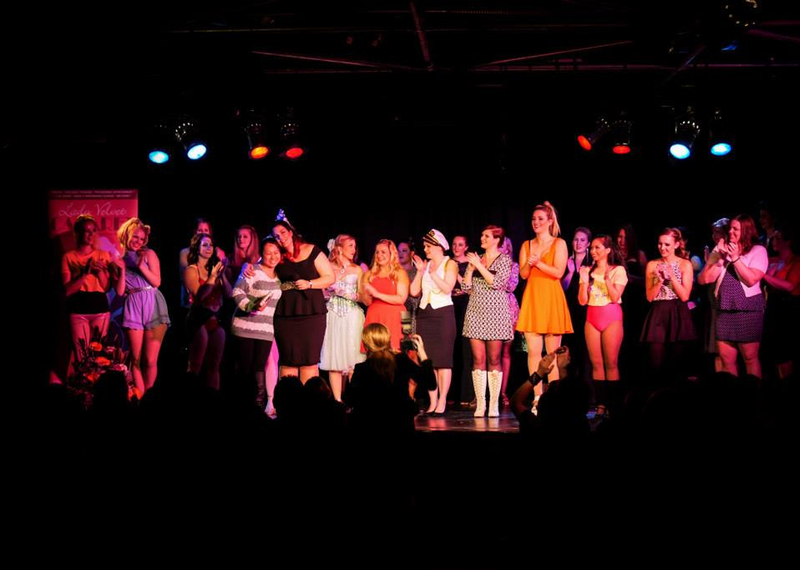 The artists have left their mark everywhere from London to the outback, and have been recognised with a number of awards, including Fringe World awards, STAR awards, Businesswoman of the Year nominations, Miss Pinup Australia awards, and the Miss Burlesque WA 2016 crown and national 1st Runner Up title. 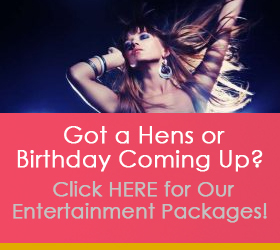 Over the years, hundreds of clients have enjoyed LVC’s customisable hens party packages, available in a range of styles including burlesque, hula, lapdance, 1920s flappers and more! Bubbly, friendly hostesses attend many hens night and birthday celebrations all around Perth and the surrounding areas each weekend helping ladies celebrate their special occasions in a fun, supportive environment with great props, prizes, and games. LVC participates regularly in the Fringe World festival, with performers also touring regionally with the festival, and attending other fringe and burlesque festivals across the nation. You can keep tabs on when the next shows are scheduled on the events page. Lady Velvet Cabaret is dedicated to helping foster a strong sense of community within the Perth performing arts scene, with regular collaborations between LVC and local photographers, dance schools, venues, other performance troupes, solo artists, touring events and more. 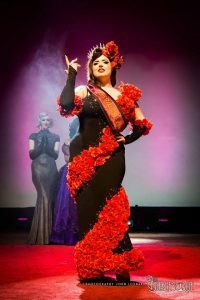 Director Vita Flame is a regular on judging panels at competitions like Miss Burlesque WA, and was voted onto the panel for the Perth International Burlesque Festival round table 2016. LVC is proud to contribute and support the thriving performing arts scene in Western Australia. To find out more about the troupe, or submit a resume or showreel for consideration, please get in contact today.